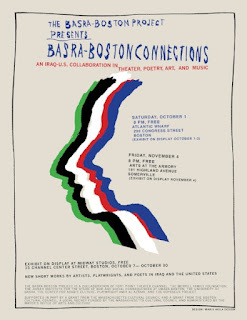 This performance is part of Artweek Boston. 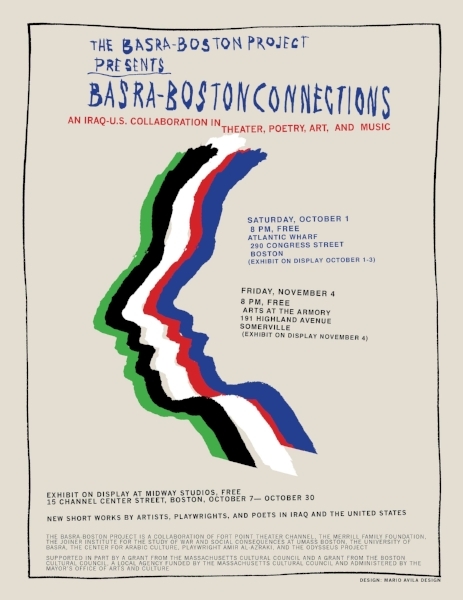 A second performance will be held November 4 at Arts at the Armory in Somerville. October 7 - October 30 at Midway Artist Studios. Midway Artist Studios is located at 15 Channel Center St. If you usually park in that location, check the posted signs and car flyers, and make alternate parking plans to avoid being towed. Urban Renewal: City Council President Wu filed a hearing order to create a docket for the upcoming Urban Renewal progress update hearings with the Boston Redevelopment Authority, which were part of the Council’s approval for a six-year extension of Urban Renewal Authority. This was a procedural technicality, but because the Council voted on the original Urban Renewal filing, the docket was placed on file and we need a new docket number to publicly notice the progress updates. The first hearing will take place September 30 at 10AM. 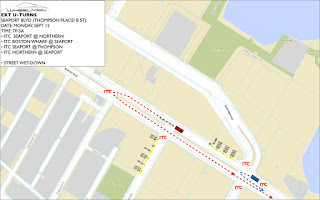 New Washington Street (Charlestown) Bridge: The Council voted to approve the discontinuance by MassDOT of a portion of a state highway to allow the City of Boston to perform construction work on the North Washington Street Bridge. Councilor LaMattina reported back on yesterday’s hearing, where Public Works Department Engineer Para Jayasinghe testified that this was more of a formality, as the City has always maintained the bridge; a title search revealed that a sliver of the bridge had not been officially transferred to City ownership, so a Council vote and four Councilor signatures are needed to finalize the transfer. Mr. Jayasinghe mentioned that there have been over 30 public meetings on the design, with the next one on October 4th. The proposed design includes cycle tracks and pedestrian space, along with vehicular traffic lanes. They are working to narrow some of the car lanes to allow for a dedicated bus rapid transit lane in the design, with a goal of construction in 2017. For complete notes on this meeting and prior Boston City Council meeting notes, visit MichelleForBoston.com or sign up to receive these notes automatically each week by email. Check out next week's City Council Meeting agenda available here on Monday, September 26th. The Small Business Resource Fair features keynote speaker Roger Berkowitz, CEO of Legal Sea Foods and includes two workshops. If you are interested in starting, growing or expanding your business, learning about resources available through the City of Boston & Commonwealth of MA, and networking with small business owners, register to attend today! Space is limited. Department of Play has made an alien vessel and is showing it off on Saturday, September 17th from 6:00pm to 8:30pm at DRC Carson Beach. Over the summer, Story Ship, a storytelling vessel-turned-recording studio, travelled to different locations in Andrew Square collecting residents’ cherished memories. Initial fuel for the ship came from Portal of Tomorrow, a collaboration with youth in Fields Corner that led to a one-day transformation of a parking lot into Fields Corner from a parallel universe. Now filled with inspiration, Story Ship is bursting at the seams and ready to share its tales. On Saturday, Story Ship will transform into a gigantic inflatable cubic screen to showcase together on film the stories from Andrew Square and the visions from Fields Corner. 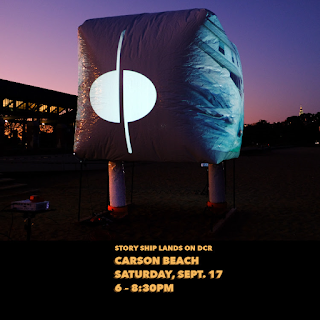 All are welcome to come and see the Story Ship, and join the Department of Play and the Andrew Square Civic Association and Viet Aid for a free evening of food, music and good vibes by the ocean! Carson Beach is easily accessible from the JFK/UMass and Andrew Square red line stops. Hubway: The Council voted to pass an order authorizing the Boston Transportation Department to enter into a 10-year contract for the city’s Hubway program, following Councilor LaMattina’s recommendation as Chair of the Council’s Committee on Parks, Recreation and Transportation. Councilor LaMattina reported back from the hearing that this would be a regional program in partnership with neighboring municipalities. The program’s three goals: 1) Improving user happiness through availability of docks and bikes, 2) Growing the number of trips taken by increasing the number of members and casual users, and 3) Increasing equity of access and use, geographically and demographically. To date, no city funds have been spent on operations or equipment. A longer-term contract will allow greater incentive for sponsorship and neighborhood access. The Council must vote to approve any contract with a term longer than three years. Speed Limits: Council Baker called for a hearing to discuss the recently passed state legislation, Act Modernizing Municipal Finance and Government, with respect to speed limits in Boston. In April, the Council unanimously passed a home rule petition to reduce the speed limit in densely populated areas from 30 to 20 mph and 15 mph in school zones, which the Mayor signed and forwarded on to the State House. The state law allows for cities and towns to lower the unposted speed limit to 25 mph and 20 mph respectively. The matter was sent to the Committee on City & Neighborhood Services and Veterans Affairs for a hearing. Equity in Marijuana Dispensary Licensing: Councilor Pressley filed a hearing order to discuss strategies for ensuring equity in marijuana licensing. Should voters approve the ballot question to legalize adult use marijuana this November, regulatory authority will sit with a new Cannabis Commission at the state level. Councilor Pressley noted that the City of Oakland recently passed an ordinance promoting equity in access to opportunities for ownership of medical marijuana dispensaries, and Boston should encourage business ownership and hiring in underemployed populations, especially for communities of color and low-income communities that have been victims of the ‘War on Drugs.’ The matter was sent to the Committee on Jobs, Wages, and Workforce Development for a hearing. City Council Chamber Accessibility: The Council is awaiting final numbers from a house doctor report examining the costs of lifting the Chamber floor, creating wheelchair-accessible seating in the audience, adding acoustic treatment so that all can hear the proceedings, updating the lights to energy-efficient LED bulbs, etc. The goal is to begin construction next summer. Website: The Council has been working with DOIT to be able to attach documents such as notes, background information, and presentations to calendar items so that residents can access proceedings online. The goal is to enable residents to follow Council business and give feedback before votes/meetings happen. Events management procedures: As the Council hosts more off-site meetings in the neighborhoods, we need standardized procedures to secure venues, staffing, and coordination between Council offices and Central Staff to ensure everything runs smoothly. Tynan School at 650 E. 4th Street. In partnership with Hilco Global, which specializes in redeveloping industrial sites, Redgate purchased the 18 acre waterfront site of Exelon Corp.’s New Boston Generating Station this spring for $24.25 million, The site is located next to Boston Harbor's Reserved Channel at the corner of First and Summer Streets. A mixed use development retaining historically significant elements is anticipated. The South Boston Arts Association (SBAA) is in active discussions with civic leaders as well as the new owners to specifically look at an Arts and Cultural Community Center on the first level. 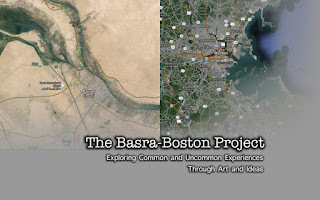 SBAA envisions a gallery, art workshops for children and seniors, a performance center for plays and concerts and a building which preserves history while shaping the future of South Boston. If you missed the summer Open House, share your ideas on Wednesday, September 14th. A Netflx original action thriller, WHEELMAN, will be shooting on the streets of Fort Point and Seaport on Monday, September 12, 2016 from 7 pm to 5 am. WHEELMAN is a film about a getaway driver for a bank robbery who realizes he has been double crossed and races to find out who betrayed him. No streets will be closed during filming. Vehicular access will be allowed on all surrounding streets. 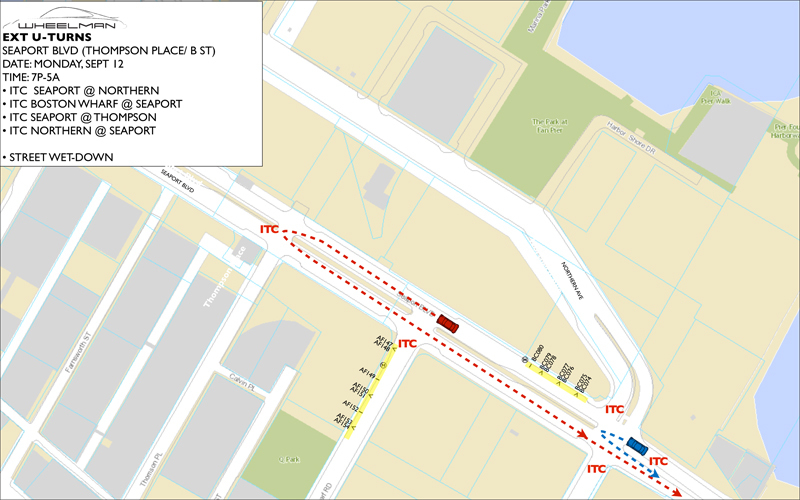 However, there will be Intermittent Traffic Control (ITC) while the camera is rolling during the driving routes. 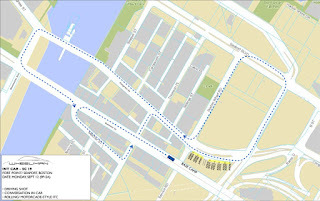 Pedestrian Access will be allowed to and from buildings, restaurants, and bars during filming. Filming will not impede garbage trucks, block any loading zones, valets, docks or parking garage access. · Chef Jason Heard is serving up his Southern home cookin’: BBQ pulled pork sliders with cole slaw, smoked BBQ wings, cheeseburgers sliders with house made pickles and sauce, fried macaroni and cheese bites, caprese mozzarella tomato and basil skewers and his famous street corn. · Challenge your friends to a game of corn-hole or giant jenga on the top deck or test your strength and coordination on the mechanical bull. · DJ Kupah James will be spinning an array of music including some “old school” dance tunes from his perch above the “catwalk”. · All guests will be eligible to win a fantastic door prize which includes: four premier box seats to a Red Sox/Orioles game, parking and pre-dinner at Eastern Standard Kitchen. Coppersmith is located at 40 W. Third Street. Free parking courtesy of the Channel Center Garage, 116 W First Street. The Massachusetts Primary is Thursday, September 8, 2016. Exercise your right to vote for your US Representative, State Senator, State Representative , Governor's Councillor, Sheriff and Register of Deeds. Fort Point polling location is the Condon School located at 200 D Street (behind the Labouré Center). The polls are open from 7 am - 8 pm. Take a sneak peak at what your sample ballot will look like. To verify that you are registered to vote, click here. October 19, 2016 is the last day to register for the November presidential election. Register online, by mail or in person.